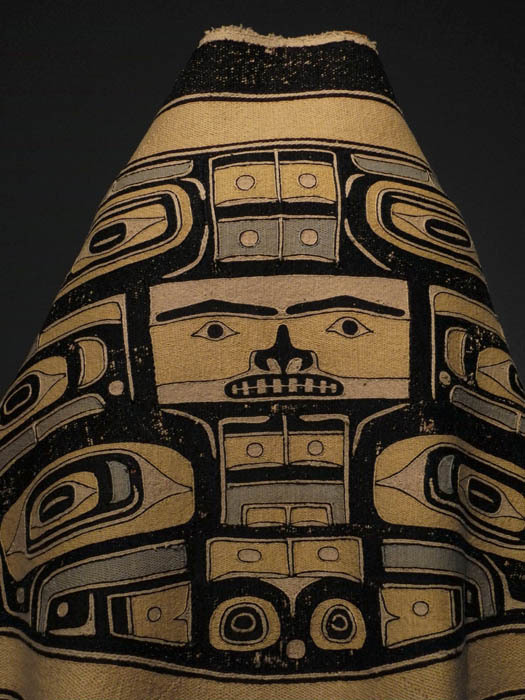 Artist unknown, Chilkat Tlingit; Chilkat robe (naaxein), ca. 1850-80; mountain goat wool, cedar bark, native dyes. 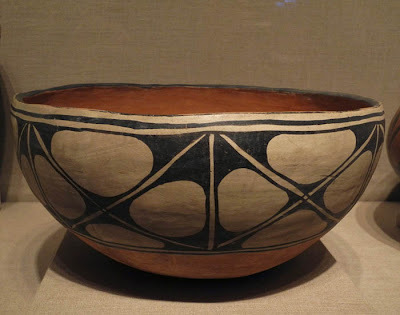 I recently spent an inspiring afternoon at the Hood Museum of Dartmouth College; they have a very large collection of Native American art and highlights from their collection are now on view. A year ago I saw another aspect of the collection, a very fine group of ledger drawings, which I wrote about here. The show, which was guest curated by George Horse Capture, Joe Horse Capture, and Joseph Sanchez, is arranged by geographic region; the wall labels are often fascinating. Although the Hood is a small museum, this show is expansive; after seeing all the work I gave myself a more focused assignment for this blog post: the use of pattern. Woven robes of this type were created by women from a pattern that was painted on a board by a man. These pattern boards were passed down through the family. 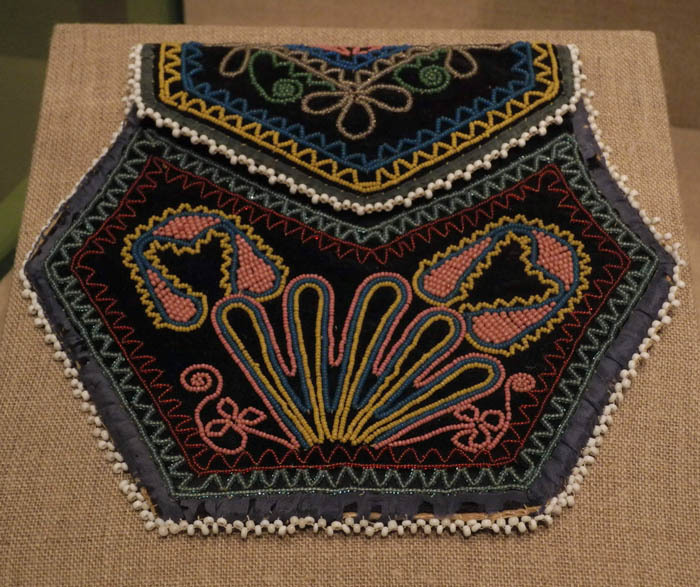 This garment would have been worn by high-ranking tribal members during important events such as ceremonies and feasts....This type of technique, known as Chilkat weaving, is one of the most complex weaving techniques in the world. It might take a woman over a year to create this type of garment. Like other forms of Northwest Coast art, this weaving features a three-dimensional animal on a two-dimensional object. Artist unknown, Woodlands/Great Lakes, Wisconsin; Container depicting the cosmological universe and, on the underside, two Thunderbirds, ca. 1800; birch bark, wood, spruce root, twine (added later). 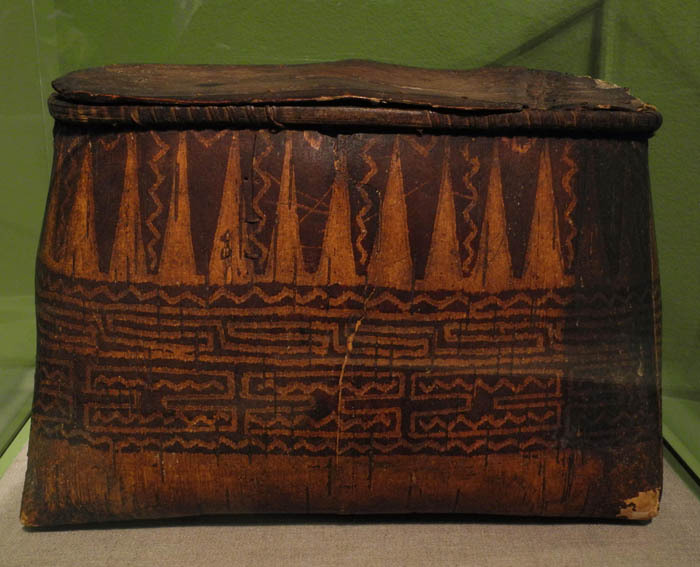 The two realms portrayed on this container represent a cosmic universe of immeasurable consequence, in which two powerful supernaturals, or manitous––the Thunderbird of the Above World and the Great Horned Underwater Panther of the Underwater World––hold power. They are forever engaged in a cosmic clash for dominance, a war of no retreat and no advance in a place of eternal time, space, and energy. The Thunderbird and the Underwater Panther rule over environments that are beyond the perception and immediate access of humans. As such, both maitous are sources of power for hunters, warriors, and healers, who seek their assistance through fasting and prayer. Artist unknown, Seneca, Haudenosaunee (Iroquois), New York; Bag, ca. 1830; glass beads, velvet, cotton cloth, ribbon, thread. In another surprise for me, the design of this charmingly beaded bag has more meaning than is readily apparent to a casual viewer. Many Haudenosaunee were devout Roman Catholics, so the heart imagery, in addition to being traditional, drew inspiration from the Sacred Heart. Here the hearts are surrounded by sun symbols, a Native American spiritual expression. It is a beautifully shaped and designed piece, with refined and delicate beadwork. 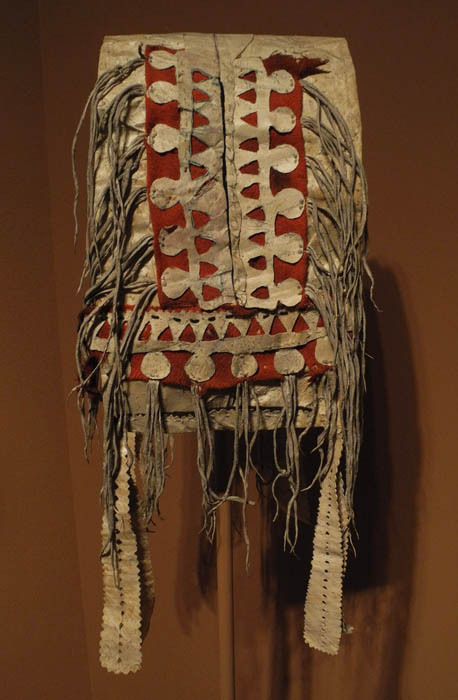 Artist unknown, Apsaalooke (Crow/Absaroke); Cradle, ca. 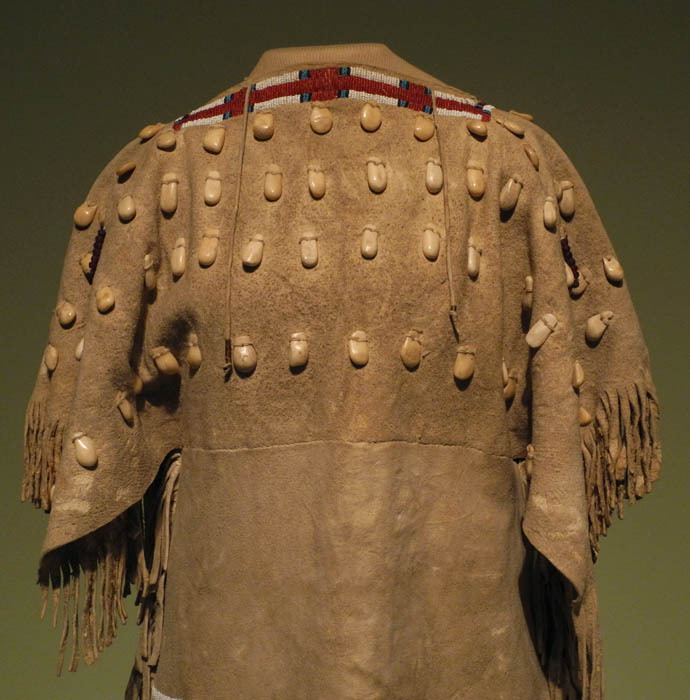 1880; native-tanned deer or bison hide, wood, glass beads, sinew, paint, thread. 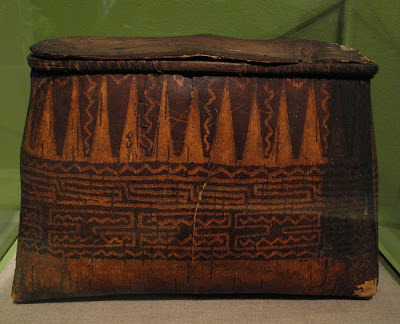 I love the way the patterns and colors at the top of this cradle are repeated in the ties below, the shapes of triangles echoed in the triangular shapes of the ties. It is a sophisticated design in a material––beads––that hadn't become a major Crow art form until after 1850. Before that, porcupine quills were used for decoration. Artist unknown, Siksika (Blackfoot) or Assiniboine (Nakota [Yankton Sioux]); Gun case, ca 1890; native-tanned hide, glass beads, wool cloth, clay wash, thread. Long ago, when a small tribal group had a conflict with another for some reason, casualties were minimal because they were equally armed with bows and arrows, spears, and large shields. Their encounters usually consisted of shouting insults at each other, throwing rocks, and other non-lethal activities. In the early 1700s, when guns came from the east, the entire world of the Indian people changed. The weapons of the Indian people were mostly ineffectual against the gun, whose bullets could penetrate the hide shields. The tribes who established relationships with the Anglos soon had the gun and would rule the Plains. 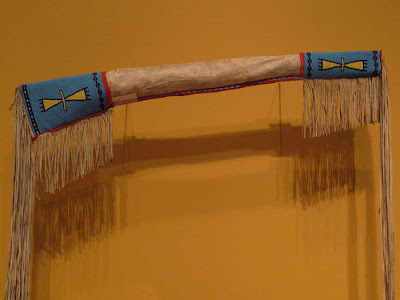 Whether on horseback or on foot, one had to carry the guns, and the Indian people soon decorated their scabbards or gun cases with their colors and tribal designs. 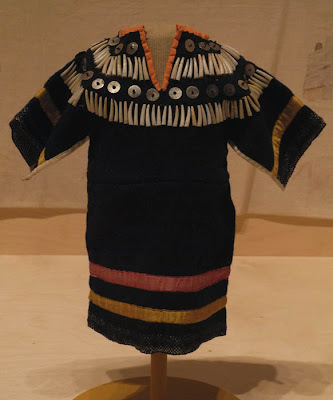 Artist unknown, Tsistsistas/Suhtai (Cheyenne); Girl's Dress, ca. 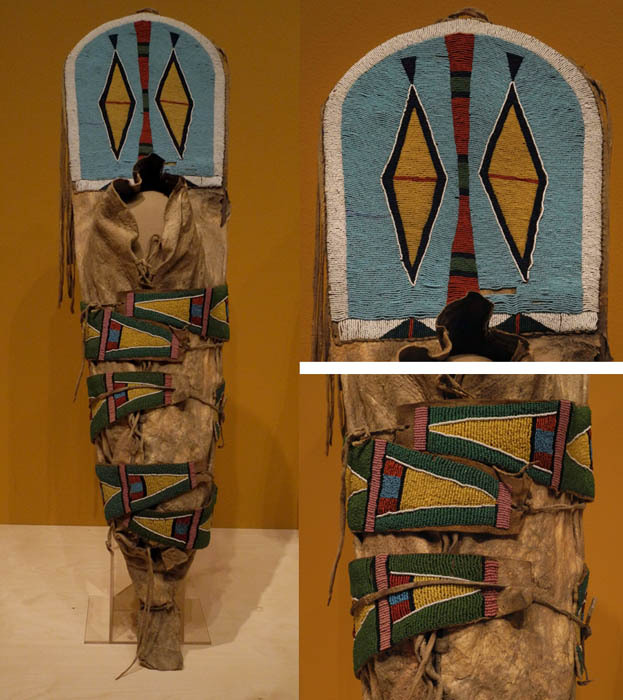 1930; native-tanned hide, glass beads, bone, string, sinew, thread. It is wonderful to think of the tribal culture lasting into the 20th century, long enough to produce this hide dress decorated with elk teeth and beadwork. Artist unknown, Lakota (Teton/Western Sioux); Child's Dress, ca. 1890; wool cloth, ribbon, dentalium shell, metal sequins, cotton cloth, thread. This dress has the same type of design as the one above, using decorative elements to create a repeat pattern on the yoke. But this small object shows the power of trade, as the wool, ribbons, and sequins came from Europe, while the shells came from the Northwest Coast, a trade item since prehistoric times. Artist unknown, Santo Domingo Pueblo, Dough Bowl depicting diagonally quartered paneled design with ovoids, ca. 1890; earthenware, painted with colored slips and burnished. 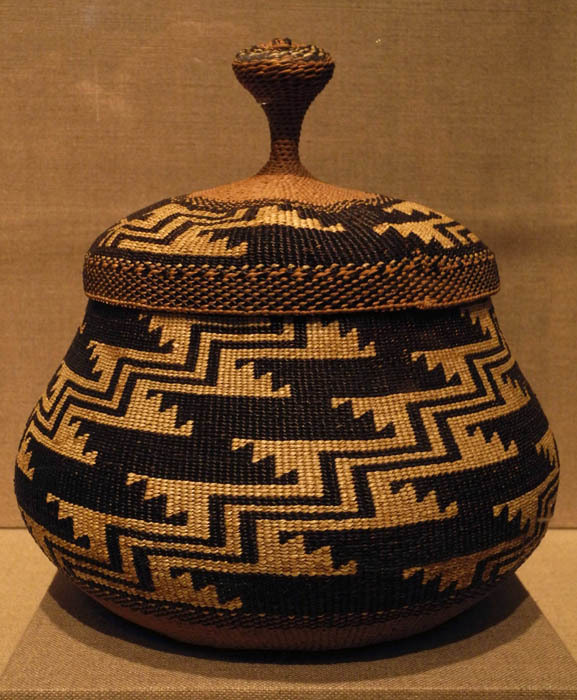 One of the great art forms of America are the ceramics produced by Native Americans in the Southwest. This bowl, with its unevenly rounded forms held in by the geometry of triangles, seems to express the fullness of life. 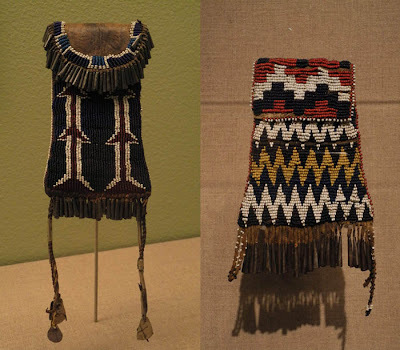 Artists Unknown, Kiowa and Apache; "Strike-a-light" pouches, ca. 1870 and 1880; leather, hide, glass beads, tin cones, tin, metal, cotton cloth, ochre, thread. These pouches were originally made to carry tools necessary to make a fire, and when matches became widespread, they held ration cards. They both have very lively designs, and I love the use of the small tin cones as dangling elements. Artist unknown, Mescalero Apache; Saddle Bag, ca. 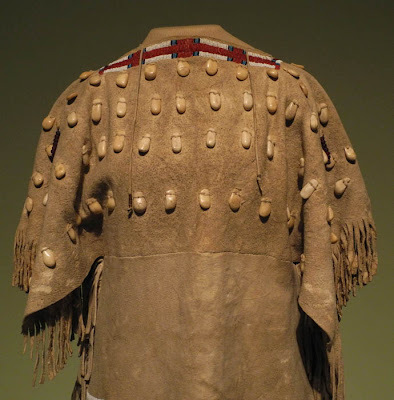 1900; rawhide, native-tanned hide, wool cloth, glass beads, sinew, ink. This patterns reminds me of paper doll cutouts, since the hide was cut away to make the design, which looks like a row of figures. Artist unknown, Pomo; Basket, ca. 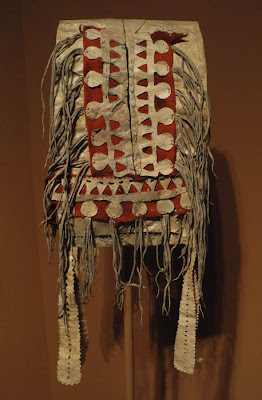 1905; sedge root, willow, bracken fern root, California valley quail crests, clamshell disc beads, string. 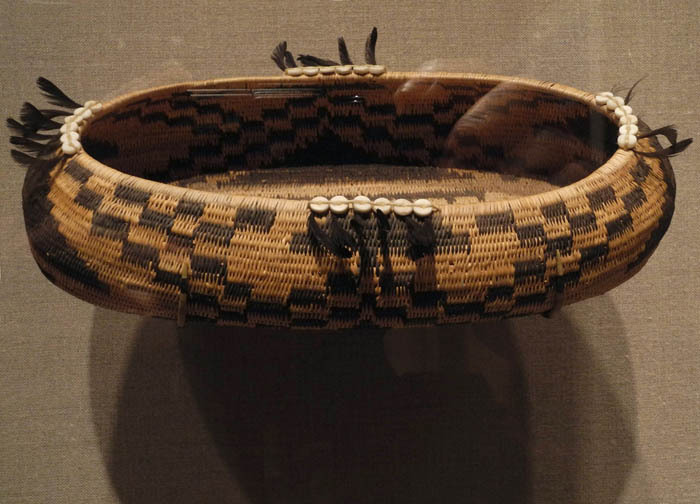 These final two objects are beautiful examples of basketry, made in California. 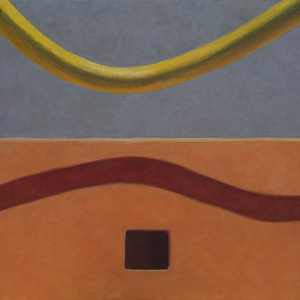 The shifting patterns articulate the volumes, and make me aware of the flow of form as I follow their movement across the surface. The decorative elements of shells and feathers add a lightness to the design above, as does the handle form rising from the lid below. The abstract pattern of these works, and others in this exhibition, is strong and sure and aesthetically deeply satisfying. Elizabeth Conrad Hickox, Karuk/Wiyot, 1872-1947, or Louise Hickox, Karuk, 1896-1967. Basket, ca. 1925; wild grape root, myrtle sticks, hazel, maidenhair fern, yellow-dyed porcupine quills, staghorn lichen. Thanks for the comment, Erik, and the link. It's interesting to see the contemporary weaving in that old tradition. I am awed each time I see the art of the SW Natives. It stirs something inside. I am always surprised at the feeling that comes over me. Thank you for this post. I thoroughly enjoyed seeing all of it. Wow, thank you for that informative and fascinating tour. thank you for your comments, Lisa and Lauren and Julie. I'm pleased you enjoyed this post. Julie, that cradle is very beautifully composed and balanced in the large and small elements, and the horizontal and vertical, as you notice. The object in that exhibition that struck me as the most poignant was not the one I might have expected: it is that perfect and beautiful child's dress you illustrated. 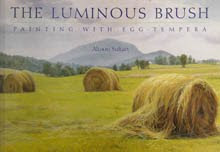 Placed amidst larger adult-sized objects, it's size and scale drew my attention, and its sublime color and patterns held it. Dartmouth's 1769 charter stipulated the school was intended "for the education and instruction of Youth of the Indian Tribes in this Land in reading, writing and all parts of Learning..." although that didn't really happen. A Native American studies program was started in 1970. Thanks for that link, Ms.Wis. As Richard says, Dartmouth's charter stipulated that they had to educate Indian youth. And contrary to Richard, it does happen. When I taught there for a couple of years, I had Native American students who were part of that program.